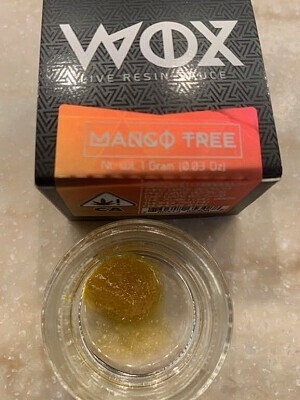 A full gram of live resin produced locally by Wox/Bear Extraction, just $40 with all taxes included! Mango Trees = Mango Kush x Humboldt OG x Jack Herer, Hybrid. This batch tested at 66.29%THC/0.08%CBD with 0 ppm solvents.